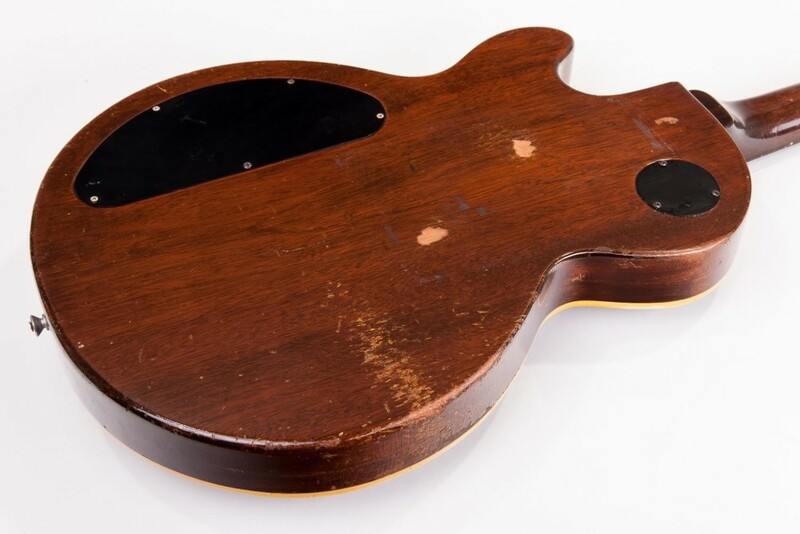 Emre Kayaalp reached out to me with one beauty of a bass – his recently acquired 1969 Gibson Les Paul. 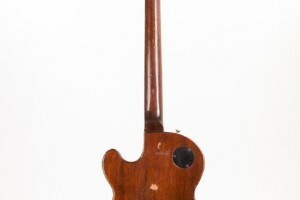 That bass didn’t sell well, and was replaced two years later with a redesigned and renamed bass, the Les Paul Triumph. The bass is 100% stock. I took it to my trusted tech, Darrell Gilbert, to sort out the neck: the truss rod was maxed-out and the neck needed to be heated and re-set. He also did a fret level and dress, as well as a complete set-up. 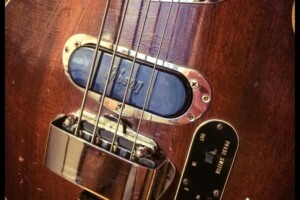 The bass now plays as it should: delightfully low, light, action. A real pleasure to play. The bass has some significant weather-checking, as you can see in the pics. The finish on the back of the neck has worn smooth. Feels terrific. 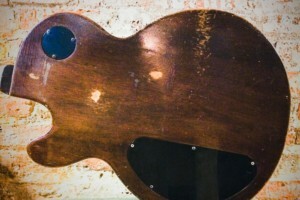 Most important, the bass is very lightweight for what it is. Most Les Paul Basses (and especially the later Triumphs) are boat anchors. This one is light enough that it balances perfectly on the leg; no dive at all. I played bass in the middle school band back in the mid-’80s. The band room had an old upright bass and a beat-up Gibson Triumph for us to use. The strings were dead, the action was mile-high, and it weighed more than I did. I can’t honestly say I liked it, but there was something about it that struck me as cool. Years later, I started looking for one. I was sure the right example would be worth having, even if the one I used to play was a dog. 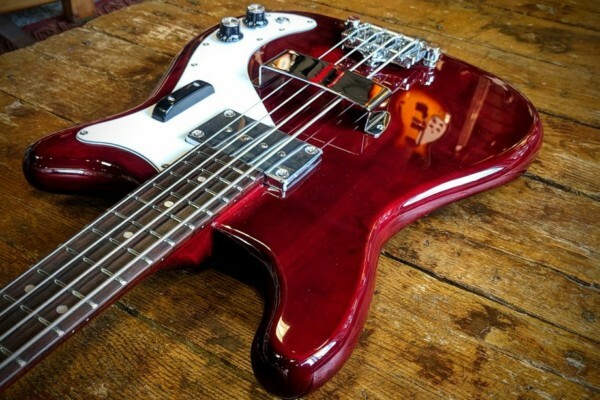 A couple of guys have been known to use the later Triumph bass: Paul ‘Guigsy’ McGuigan (Oasis) and Robert Kearns (Cry of Love) come to mind. But the only guy I know of with a first-generation Les Paul Bass like mine is Mike Watt. 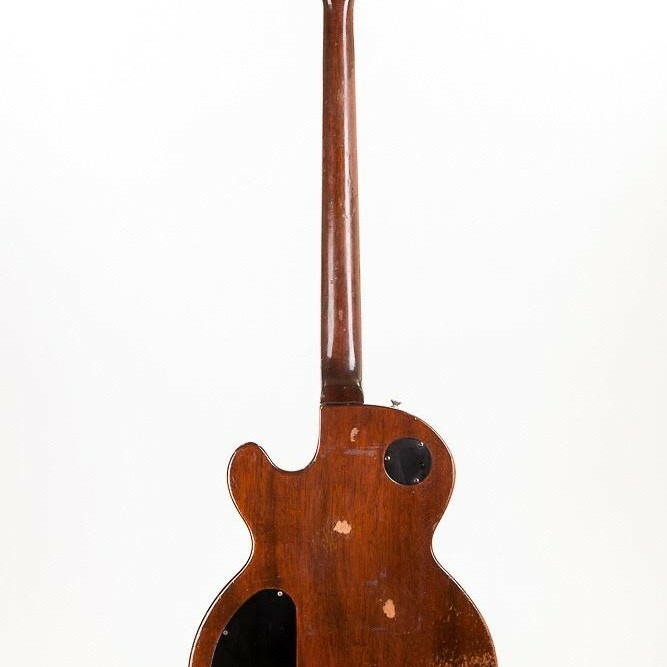 It was designed by Les Paul himself as a companion to the Les Paul Personal and Les Paul Professional guitars. The intent was to make a bass specifically for studio recording. It featured low-impedance, humbucking pickups so it could go straight into the board without a DI. It was clearly built without regard to cost or weight. From what I’ve read, there was some debate about the scale length. They eventually built it with a 30.5” scale, which was probably a major contributing factor for its relative lack of popularity with players. I don’t really gig, so I haven’t had the chance to try it. 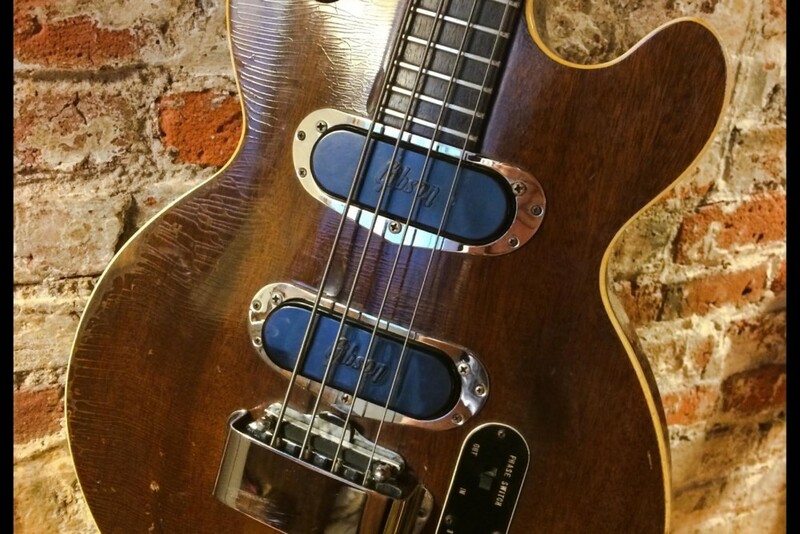 This is a very versatile and great-sounding bass. I think people avoid them because think of short-scale Gibsons as muddy messes. 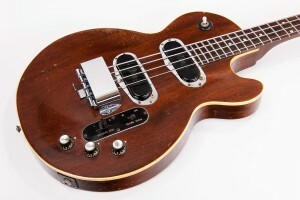 But the Les Paul Bass has a very well-balanced tone with plenty of midrange punch. 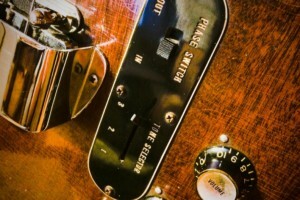 It takes a bit of time to get used to the EQ, but even traditional Fender-style tones are all there if you want them. I think the Les Paul Bass is an under-appreciated classic. While the Triumph is also cool, these earlier models hold a special charm. 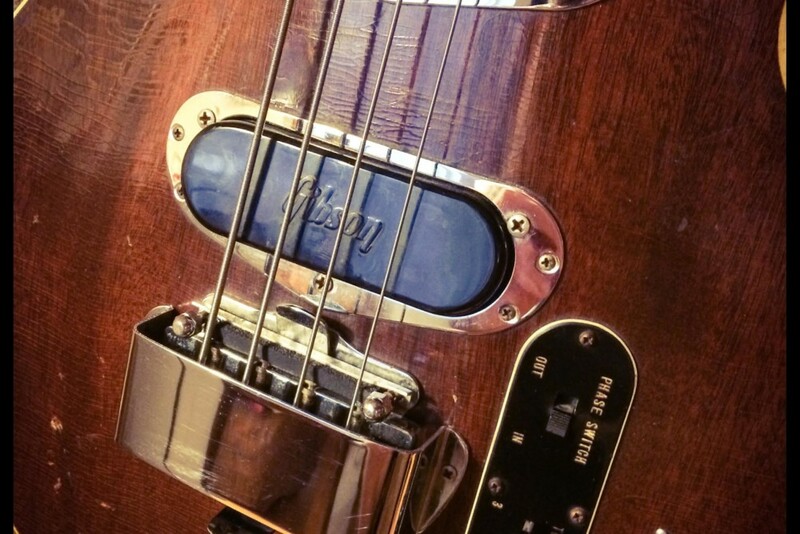 I hope other bassists will read this and try one for themselves. I’m a 40-year-old doctor living and working in NYC. I’ve been obsessed with the bass since before I can remember. Very Cool! 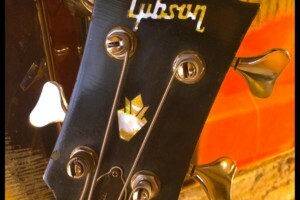 These and the later Triumphs were the top of the line from Gibson. 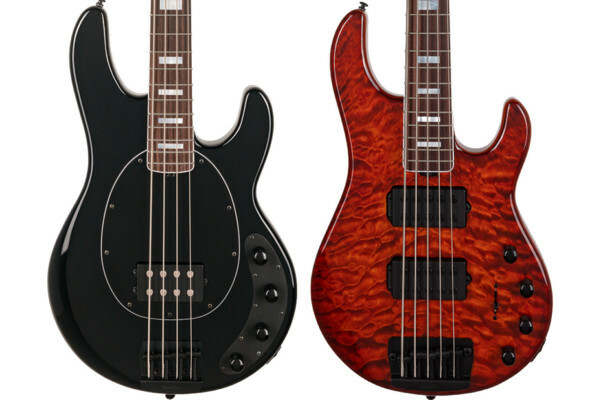 They’re a very versatile bass that can cover just about any sound. Does this one require a special cord…. my Triumph has a ‘Hi/Lo’ switch to use for recording. These didn’t have the Hi/Lo switch; Gibson added that to the Triumph. They did come with a special cable. But the output is high enough to drive a modern amp. It’s not all that much quieter than a vintage Jazz Bass. Very cool! I had one of these brand new when they first came out. I remember mine being pretty heavy, but had a really interesting range of tones. Wish I still had it around. they sounded great but the one i played was back-breakingly heavy…………………. That was always the strange thing about these basses: huge, heavy body with a skinny little broomstick for a neck. Makes them feel a bit awkward. That’s also one of the things that’s unique about this particular example. 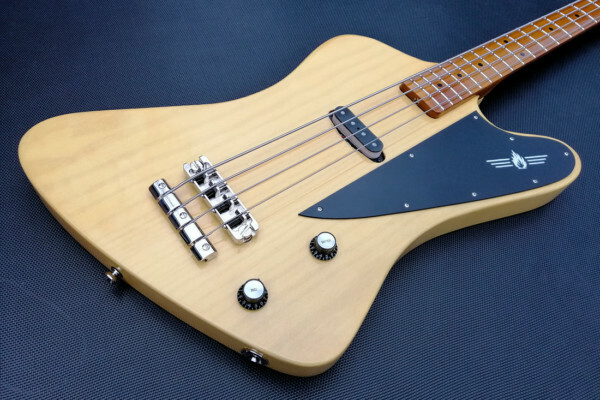 It’s not a featherweight, but it’s very light for a LP Bass. Very well balanced sitting or standing. 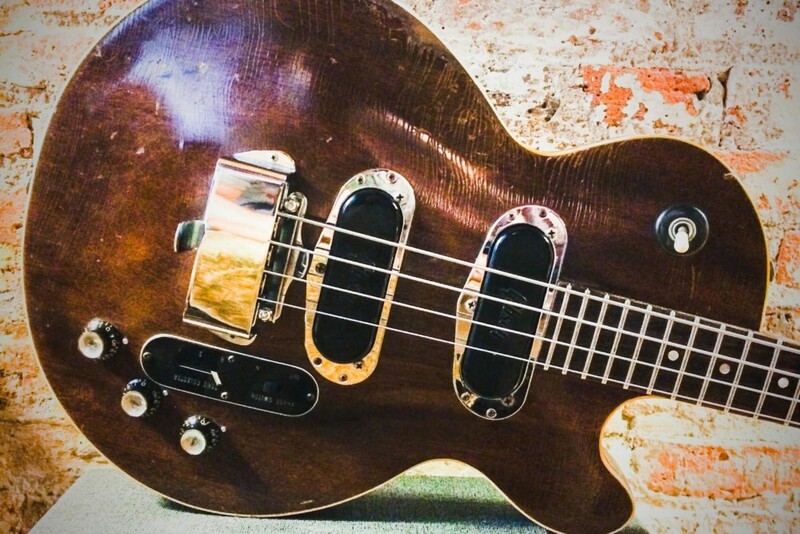 Funky old Gibson bass, I love it and loved doing all the repair work to it. 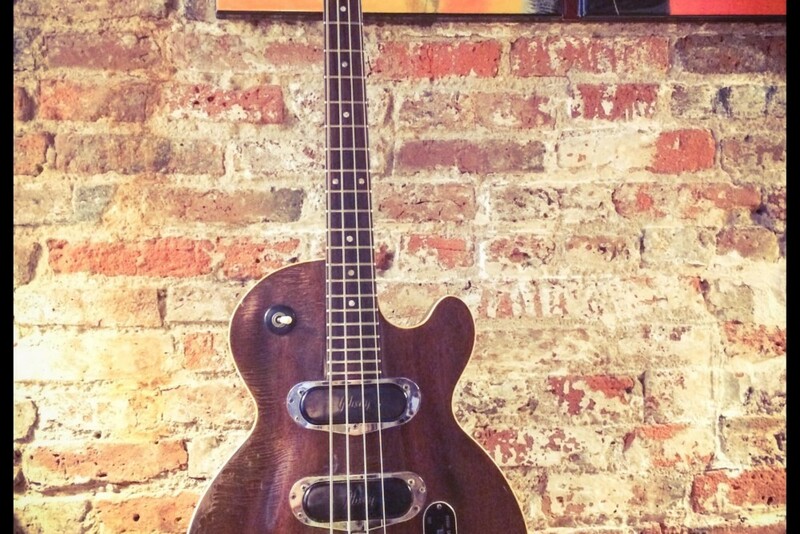 There’s nothing like an old funky bass to add to ones collection. Play on Emre……. 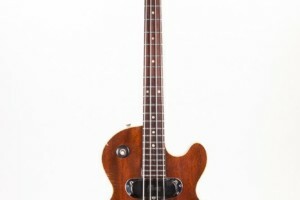 I have one of the Les Paul Recording Basses from 1974. 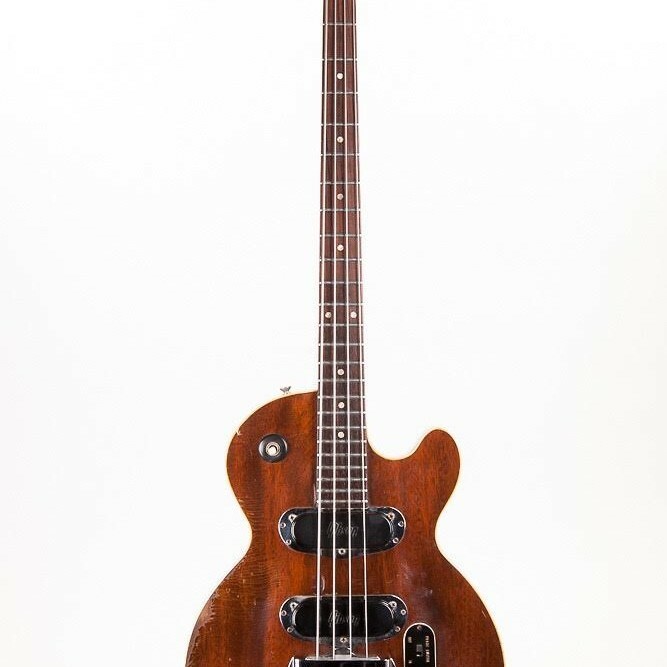 First bass I ever bought. This is really only good for playing something slow, as it sounds terrible if you really get on it to play something. Don’t like short scale basses. Not much tone variety, as every setting just gives more of the same tone. Once in a while, I play it so that I will appreciate the basses that I use now. Don’t like any Gibson basses. The most amazing thing to me was. That tailpiece bridge. Under that cover, that lever controlled a one piece mute. Pull out muted, push in free strings. Pure genius. Heavy as hell….. I have a single pick up Triumph that I bought in 1972. I played it until 1975 and then put it away until about 2001 when I decided to do some research on it, because I never saw one like it. If anyone else has seen one, I would love to hear from you.